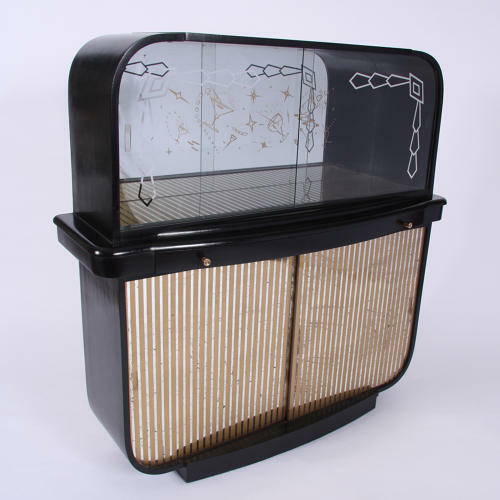 An ebonised wood coacktail cabinet made by Rivington, London cabinet makers. With painted gold detailing inside and out. Glass sliding doors and a pull out surface for mixing drinks.